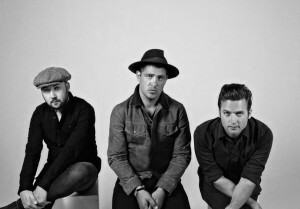 Augustines announce Farewell Tour including a Dublin date at The Button Factory. Due to demand, the show has been moved to Vicar Street. With a heavy heart, we are writing you today to let everyone know that our upcoming fall tour will be our last. Despite the news, we are looking forward to the tour and the opportunity to sing together with you, the band’s fourth and loudest member, one last time. Over the last six years we have far exceeded any and all expectations we had when we started Augustines. Our original mission was to create music we believed in, to be conscious at all times and to pursue joy in our lives, and that is exactly what we have done, and will continue to do. The truth is that the road is very challenging for artists in the modern age. It was only through your tireless support that the good ship, Augustines, has kept sailing since we met you in 2011. We are proud to say that within the confines of our band we never argued and always enjoyed each other, finding joy in the process of making music, touring the world and spending time together. That makes this decision even more difficult. Our story has been documented in Todd Howe’s film “RISE” which will be released in 2017. We will be around to celebrate this film, its story and to support Todd’s work that you’ve brilliantly made possible. Our story will indeed live on and we are proud to have been part of it. The three of us will never be far away, and are all exploring new projects now, but not before we shake some rooms and sing with you again this fall. You can keep in touch on our socials, as well as the We Are Augustines fan page for what we are up to. We thank you for all the support over the years and countless unforgettable shows. You have brought joy to our lives, and we won’t disappear, if you won’t.